Encouraging physical exercise in the workplace can hugely improve employees mental and physical wellbeing, with group exercise being one of the best ways to get the whole team engaged. Research suggests that on average, Brits sit down for as many as 8.9 hours each day, which contributes to the 137.3 million sick days employees take each year. Unfortunately, due to work-life commitments, many struggle to find time to exercise before work, and struggle with motivation afterwards. This inactivity can be extremely detrimental to employees physical and mental health, not to mention the lack of productivity it can lead to in the office. A study conducted by researchers at the University of New England College of Osteopathic Medicine, suggests that exercising in a group makes people feel both physically and mentally better than working out alone. 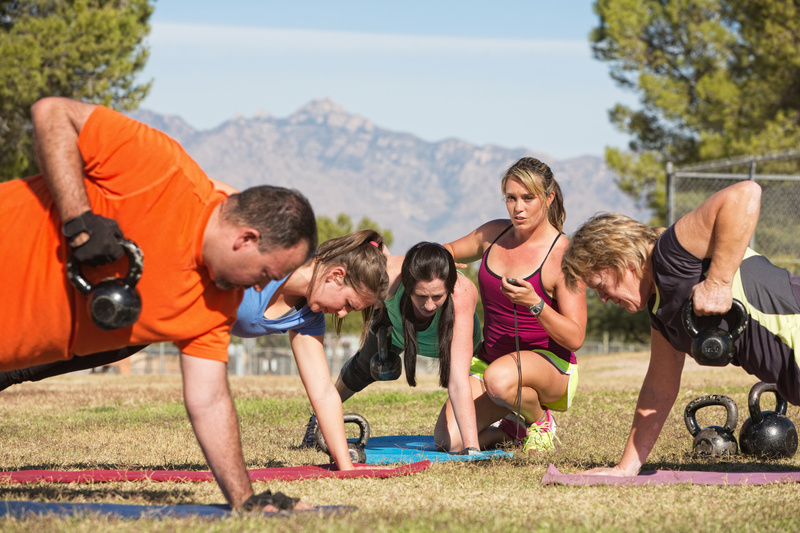 Here are a few reasons how introducing group exercise into the workplace can greatly improve the happiness and health of your employees, and the success of your business. Exercise has long been known to combat many serious health conditions and diseases. High blood pressure, heart disease and type 2 diabetes are just some of the conditions that can be prevented or managed by regular activity. An estimated 137.3 million working days were lost due to sickness or injury in 2016, and in 2014 over half of women and nearly two thirds of men were overweight or obese. Recent national surveys show that only 40% of men and 28% of women in the UK currently meet recommended physical activity guidelines of moderate intensity activity for at least 150 minutes each week, showing something needs to change. Incorporating exercise into the workplace, either before or after work is a great way to prevent problematic health conditions of your employees, reduce the number of sick days taken, and ultimately creating a healthy and happier workforce. Low on motivation or struggling for inspiration? Having a team exercising session is a great way to boost performance at work, improve employee’s mental health and get those creative juices flowing. According to the Thriving at Work report produced for the UK Government in October 2017, it is estimated that poor mental health in the workforce costs employers between £33 billion and £42 billion every year and exercising three times per week can reduce the risk of depression by up to 20%. Exercising helps increase the hormone serotonin, improving those struggling with anxiety and depression, and helping combat the stress of any challenging scenarios, it also increases employee’s ability to focus their attention and increase energy levels throughout the day. There are lots of reasons why working out in a group can be beneficial, from increasing physical performance as well as improving mentality and enjoyment. If co-workers are making time to exercise before work, during the day, or afterwards, this is more likely to motivate others around them, as they have support, and the thought of cancelling on people encouraging them to do well is a lot harder. Encouraging employees to exercise as a group is also a fantastic way to improve team spirit, and get different employees interacting and supporting each other who might not communicate much in the office, which also improves teamwork when transferred back into the workplace. Group classes are a fun and enjoyable way to get exercising, a few of the best ideas are running clubs, spin classes, bootcamps and boxercise, which all play up-beat motivational music, and encourage groups to work together in sync or as a team. Chances are at the end of a working day, employees might be feeling a bit restless, and keen to wind down and forget about the stresses of the day. Heading off to a group exercise class is a great way to end the day with your colleagues on a happy light-hearted note, ensuring you head home in a positive frame of mind. Employees really notice and appreciate it when the companies they work for show interest about their health, happiness and wellbeing. A study at Bristol University showed that employees who can exercise at work “are more productive, happy, efficient and calm”. Overall encouraging group exercise in the workplace can create a great atmosphere, boost productivity, drive up employee engagement, and lead to reductions in sickness absence, helping improve staff retention rates. Employees are much more likely to worker harder, and stay loyal to the company, if they feel they are being appreciated and cared for, not to mention once the health effect kicks in, they will thank you even more. To promote corporate wellbeing, this year we have sponsored the Chesterfield Wellbeing Challenge – The Pronto Paints Wellbeing Challenge – taking place on the 21st October 2018 and raising money for Ashgate Hospicecare and Bluebell Wood Children’s Hospice. This is a corporate group challenge whereby companies need to put forward at least 6 employees to run per team. To complete the challenge each team must have 2 people in each of the following races: Redbrik Chesterfield Half Marathon, 5 Mile Challenge and the Fun Run. This year Pronto Paints have put forward two Pronto Paints teams to participate in the challenge. So far 4 of us are running the full half marathon, 7 of us doing the 5 miles and 3 in the fun run. We also have 5 additional family members joining the Pronto Paints teams. For more information on the challenge and to sponsor us please click here.